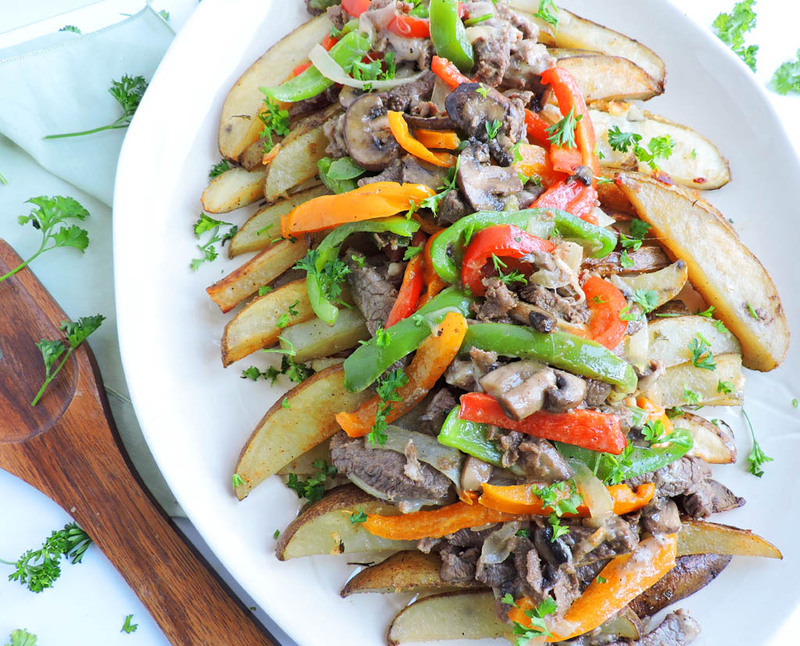 Your next football party is incomplete without these Loaded Philly Cheesesteak Potato Wedges! 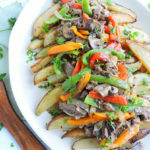 Do these Loaded Philly Cheesesteak Potato Wedges look a little familiar?? Yep, that’s right…I served them at my Football Homegating Party a couple of weeks ago! They were soooo good and irresistible that I felt they needed their very own post! ? Let me give you a little background info about the love for philly cheesesteak sandwiches in our home! My husband is obsessed with them! Before we got married, I remember him asking me if I could make philly cheesesteak sandwiches. I made them one weekend and ironically, he proposed shortly after! Lol! Since I usually make sandwiches for our football parties, I thought it would be fun to combine my famous philly cheesesteak creation with something other than a hoagie roll. 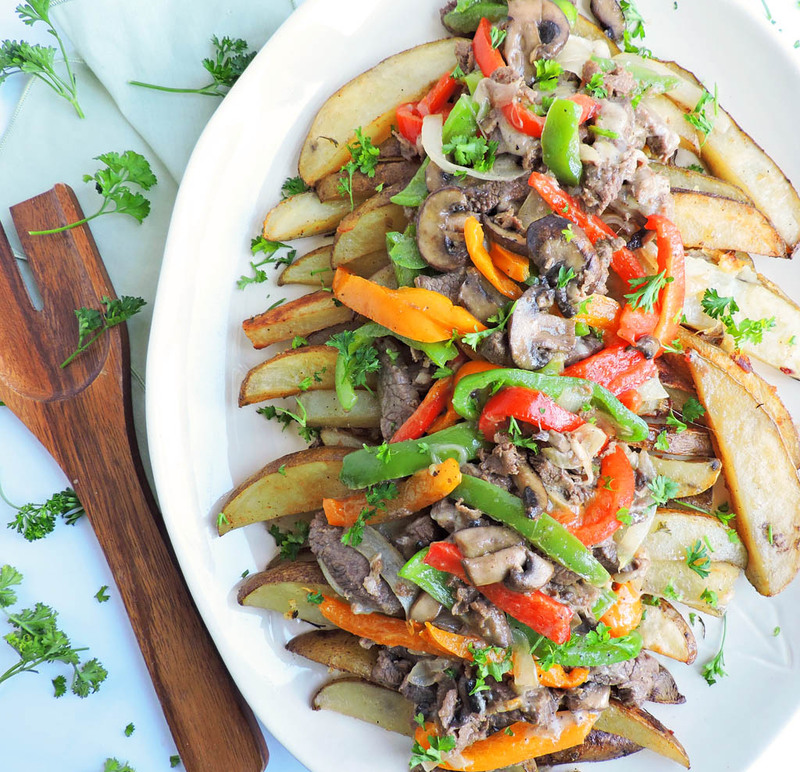 Potato wedges are always a crowd favorite so I thought this would be the perfect combo! 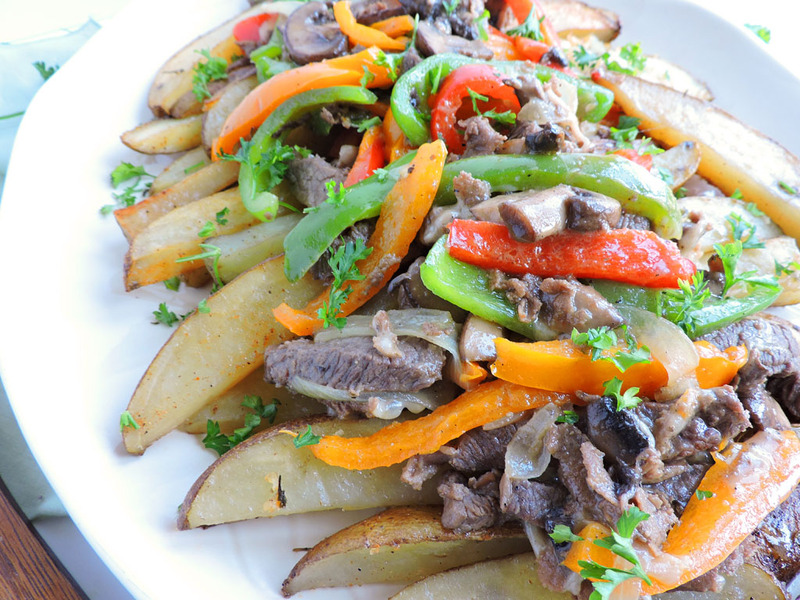 For this recipe, I used thin breakfast steaks and fresh colorful bellpeppers! In the past, I’ve used the frozen prepared beef steaks but they were extremely greasy and lacked authentic flavor! 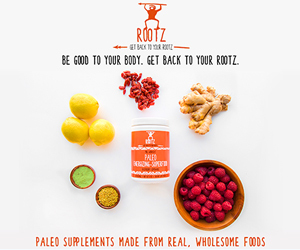 This is why I like to use fresh ingredients to create my own flavors! 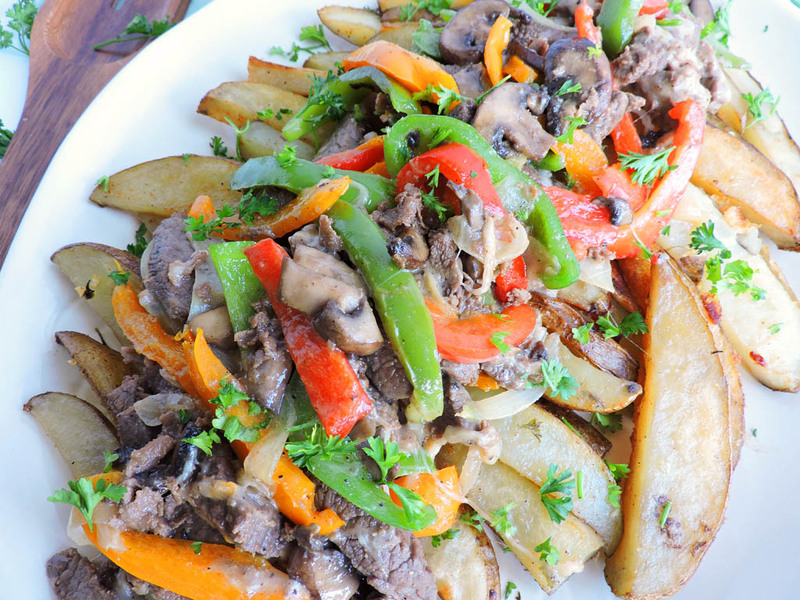 These Loaded Philly Cheesesteak Potato Wedges were a big hit at my Football Homegating Party! Go ahead and try this recipe at your next party and let me know what you think! Spread potato wedges on a baking sheet and drizzle with 1 tbsp. oil. Sprinkle with garlic powder and salt/pepper. Bake for approximately 45 minutes or until potatoes are roasted on the outside and soft in the center. While potatoes are baking, heat a large skillet to medium to high heat. Add 2 tbsp. of oil, onion, and bell peppers. Sauté until onions are fragrant. Add steak and Italian seasoning. Cook until veggies are tender and steak is cooked until desired doneness. Season with salt/pepper to taste. Add slices of provolone to meat mixture and remove from heat. Set aside. When potatoes are done, place on a serving platter and top with philly cheesesteak mixture.